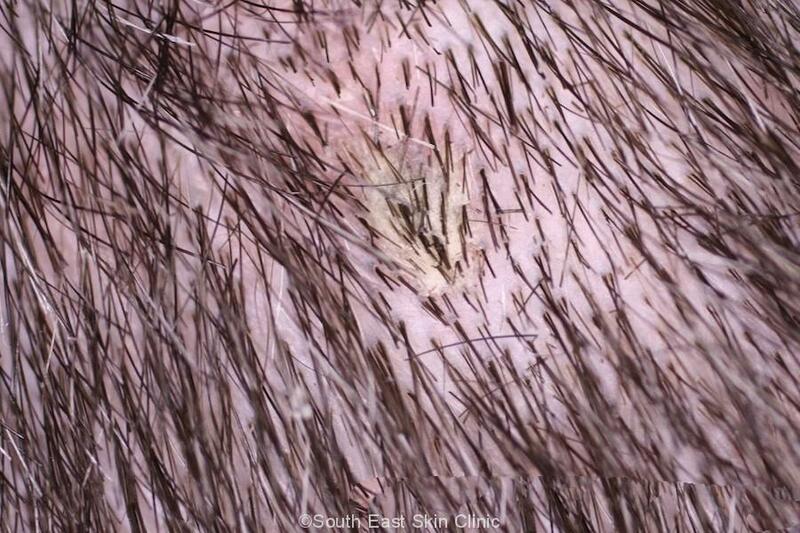 IEC is seen every day in The Skin Cancer Clinic. What is an an IEC (Intraepithelial Carcinoma) ? 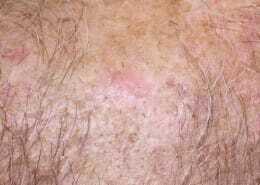 IEC (Intraepithelial Carcinoma is otherwise known as Bowen’s disease. There is a subtle difference between the two terms. 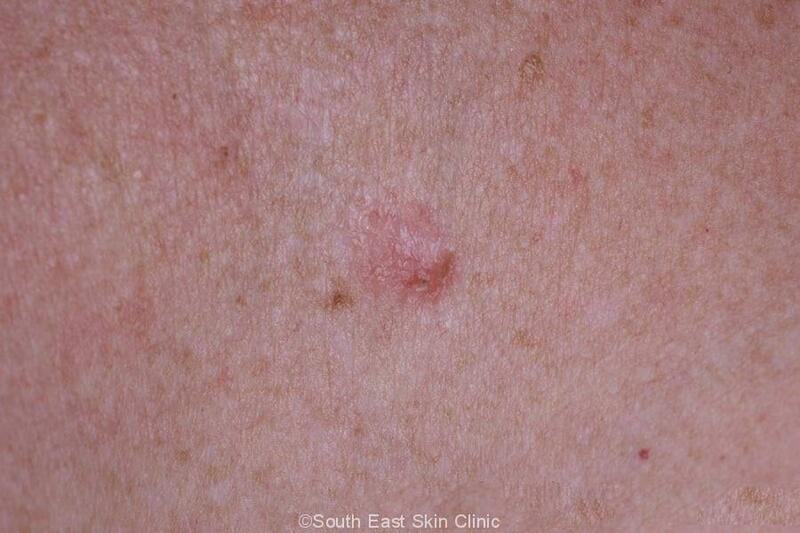 Bowen’s is an IEC without a background of sundamaged skin. IEC tends to be the phrase used most often in Australia. 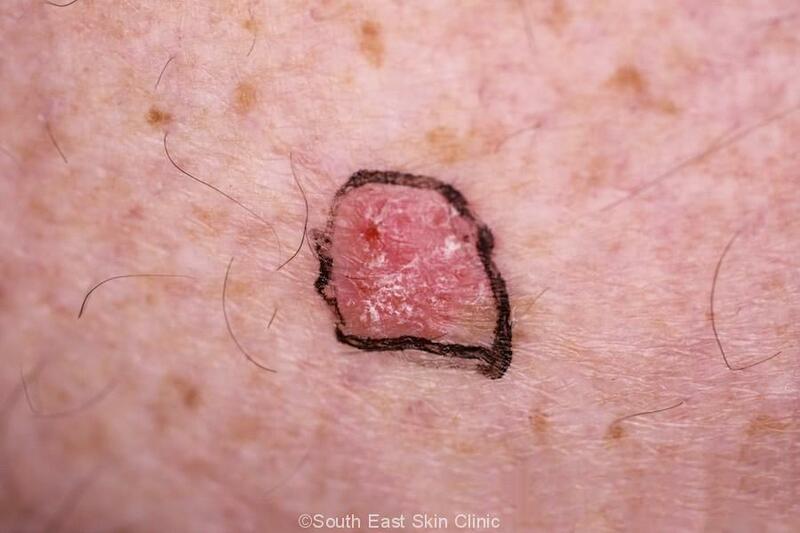 IEC is a type of squamous cell skin cancer but one that is confined only to the upper layer of skin (epidermis) – and is therefore fairly easys to treat. 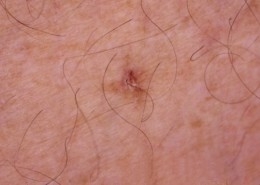 The abnormal squamous cells of an IEC are located throughout the epidermis. 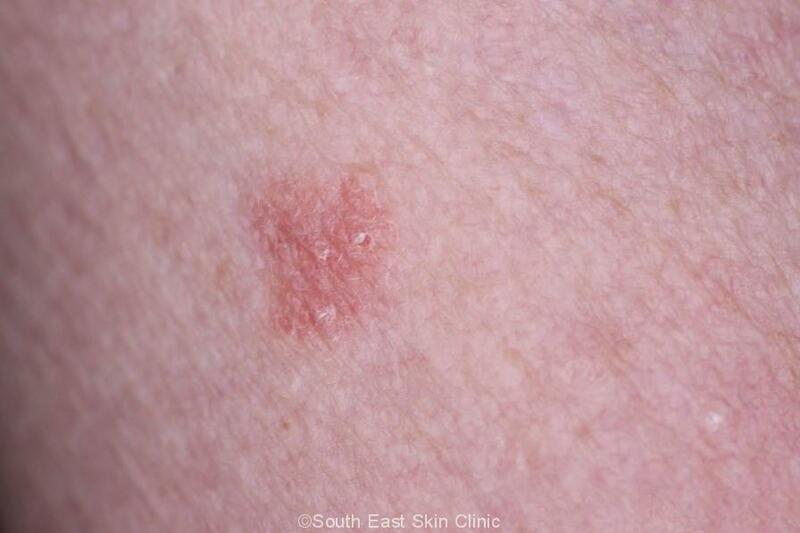 The IEC starts life as a Solar Keratosis – when the abnormal squamous cells involve only the lower part (base) of the epidermis. 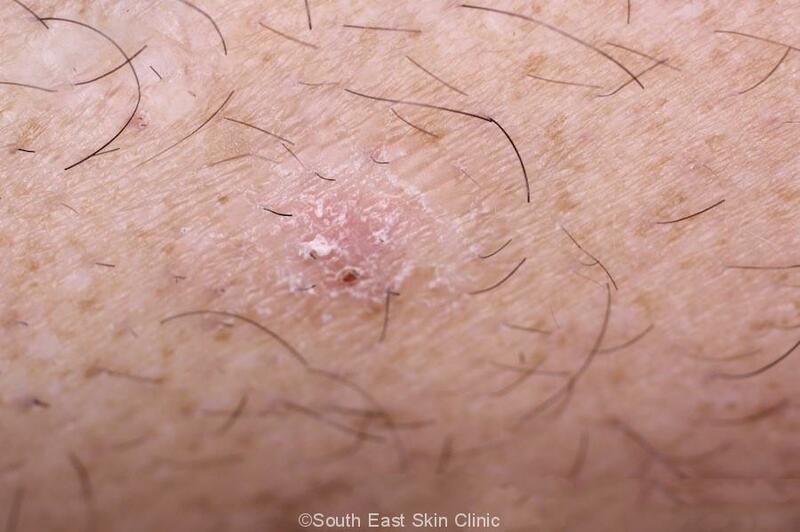 With time, an IEC may develop into an Invasive Squamous Cell Carcinoma (SCC) – when these cancerous squamous cells haveespread down into the dermis. 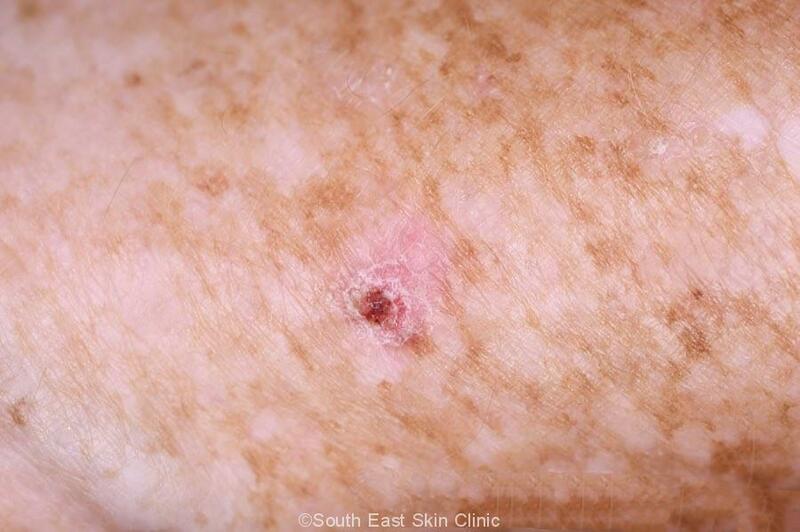 All three of these lesions share the characteristic of sun damaged epithelial cells (keratinocytes) of the Epidermis (upper layer of the skin) caused by sun damage. 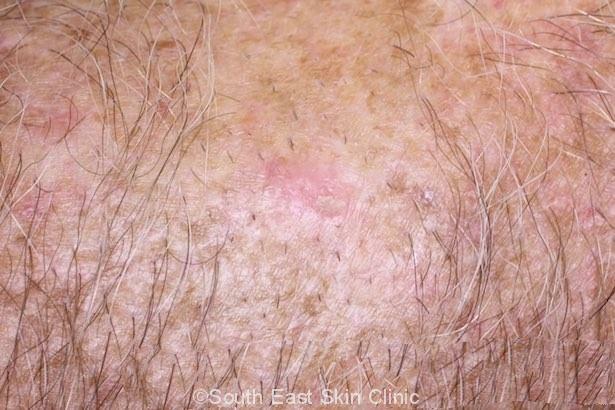 What is the risk of a Solar Keratosis turning into an IEC or Invasive SCC? The risk is around 1-2% per year. Where on the body is an IEC most likely to occur? 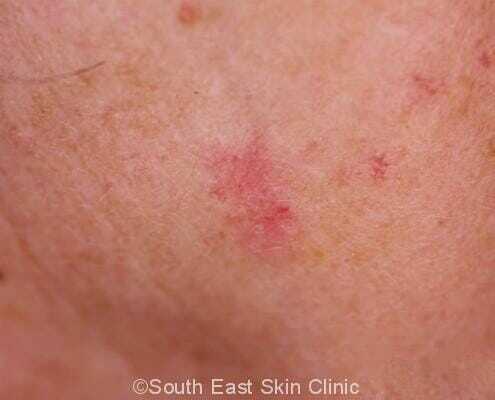 IEC is most commonly found on the face, neck or legs – all the heavily sun exposed areas. However, they can be found anywhere on sun-exposed areas. The leg is a particularly common site in females. Males tend to develop an IEC on the head, neck & below the forearms or lower legs – as a generalisation. What does an IEC Look like? 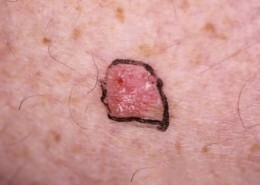 A typical IEC (Bowen’s) is a well defined, pink or red, scaly and flat (or almost flat) lesion. 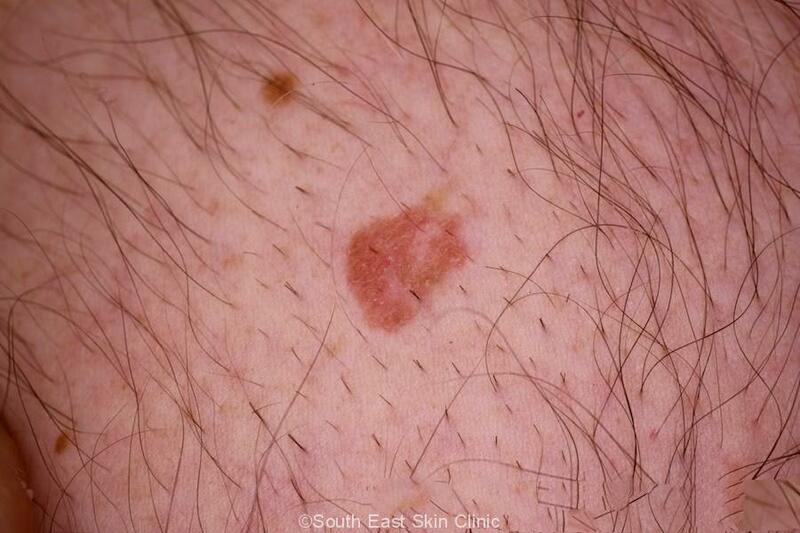 An IEC can look similar to a superficial BCC . However, an IEC typically has more scale and is more dull in colour than a superficial BCC – but these differences may be subtle or absent. 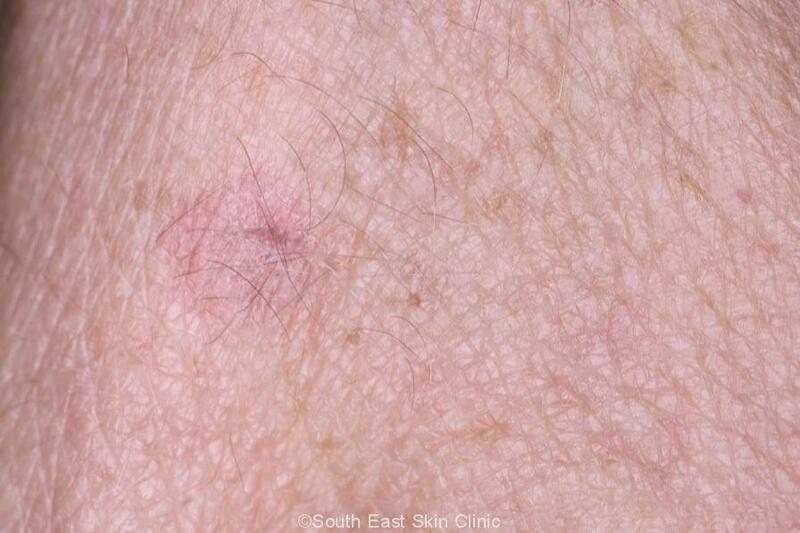 The key tool to tell them apart is dermatoscopy. 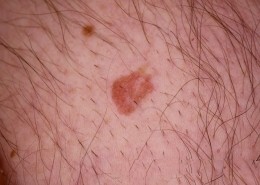 IEC may occasionally be pigmented and then look similar to a melanoma. What else can look like an IEC? 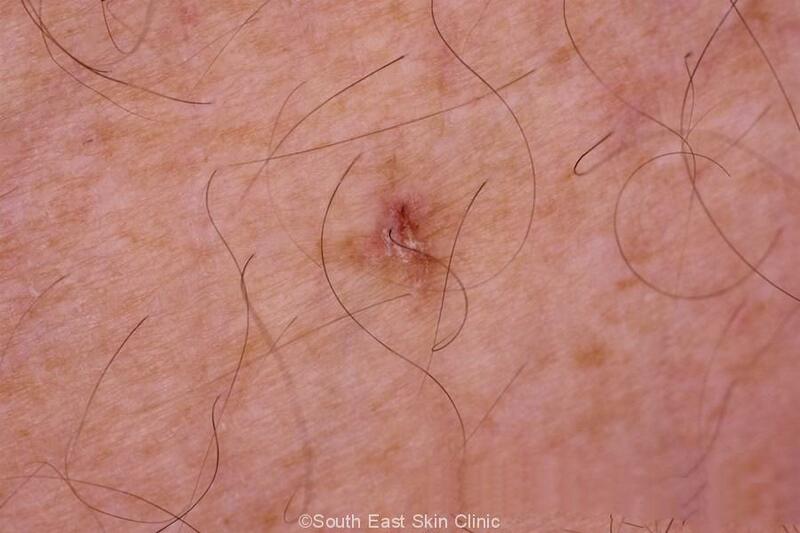 Distinguishing a superficial BCC from an IEC is a common challenge at a skin cancer clinic. The main difference is that an IEC is usually dull and more scaly. 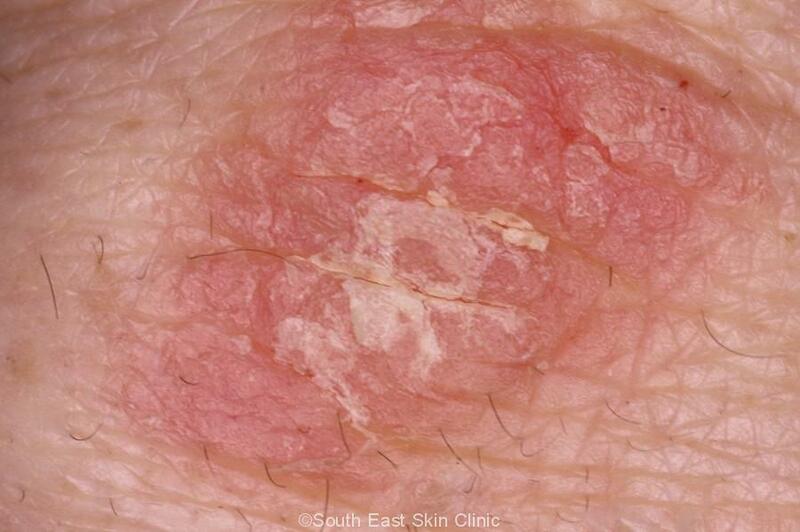 Psoriasis is a common skin condition that manifests in different ways. 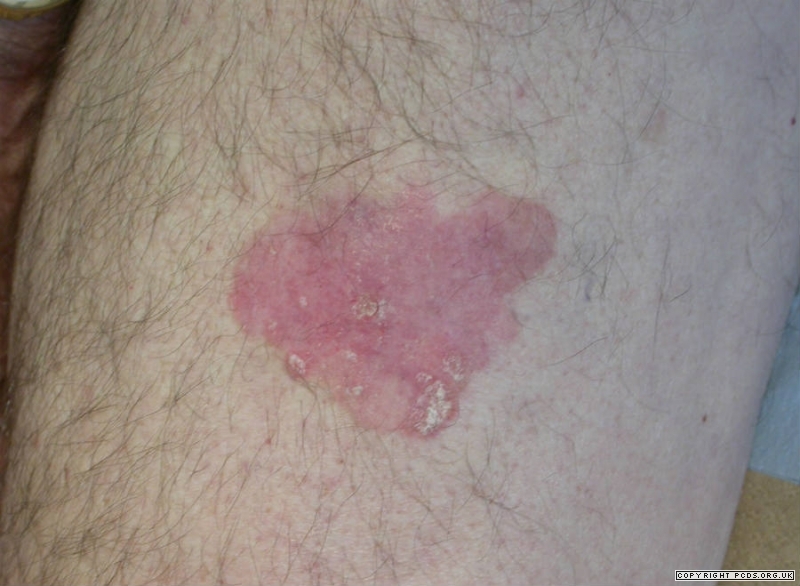 A single “plaque of psoriasis” may look very similar to an IEC. 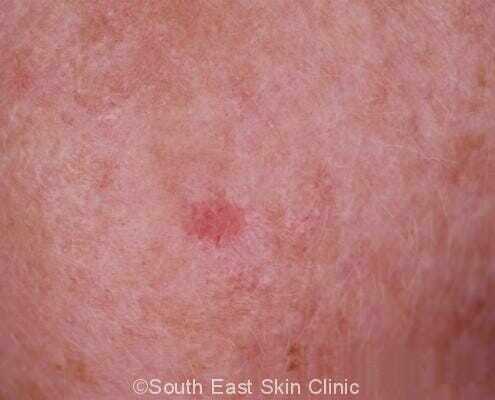 Finding an IEC amongst a sea of psoriasis is not easy. 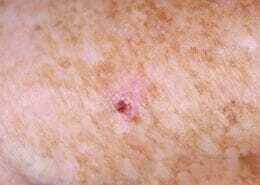 Psoriasis may manifest for the first time with just one small lesion which can be easily confused with an IEC. What is the treatment of IEC ? The Keratinocyte cells do not look typical. 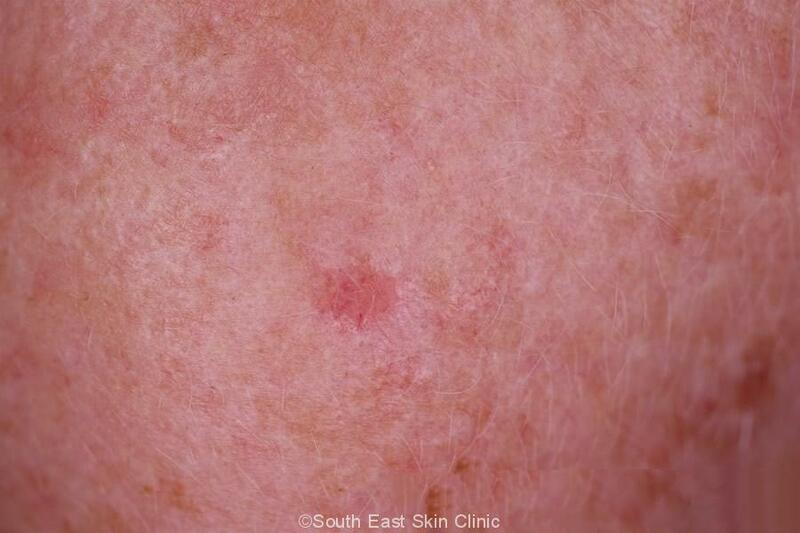 These “Atypical” Keratinocytes are found throughout the epidermis (“full thickness keratinocyte atypia”) – and not confined to the bottom layer(s) of the epidermis as found in a Solar Keratosis or IEC. 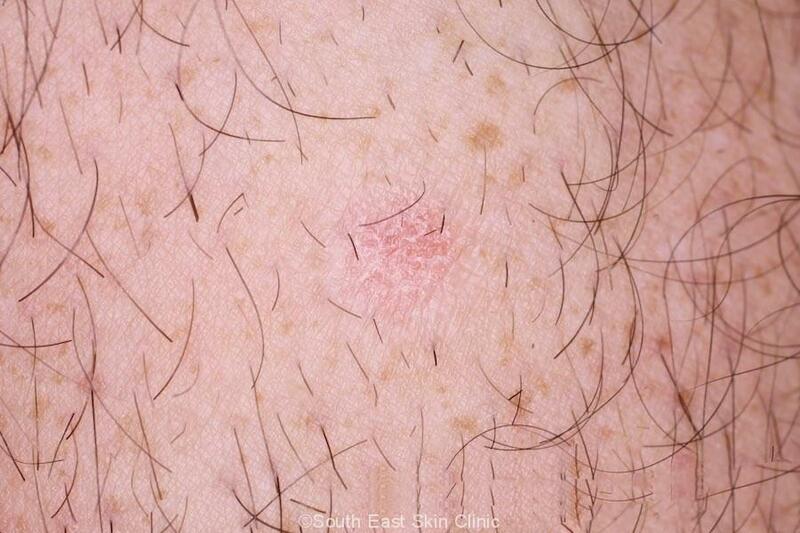 These atypical keratinocytes have the potential to invade down into the dermis. 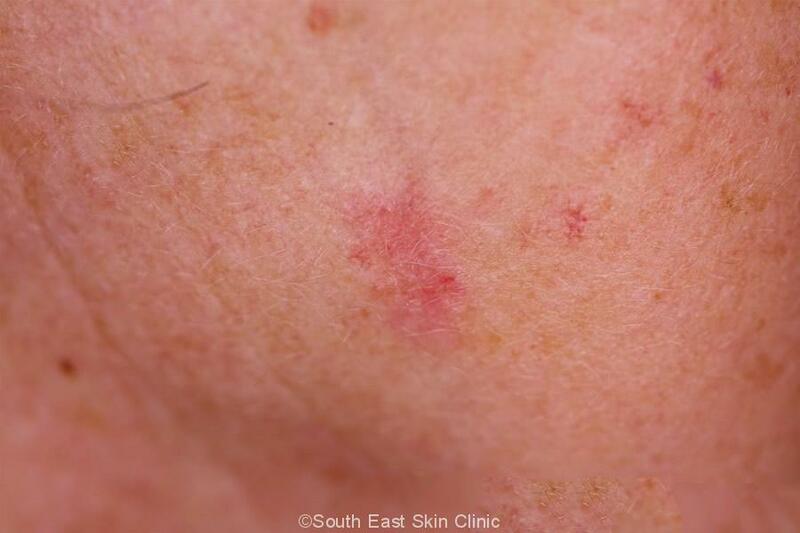 An untreated IEC may therefore develop into a squamous cell carcinoma (SCC). 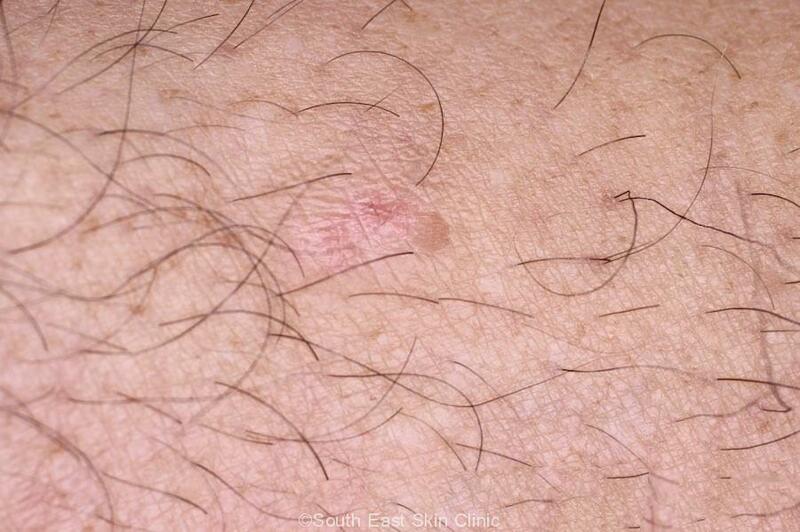 Hyperkeratosis indicates extra keratin in the epidermis. This keratin accounts for the scale. 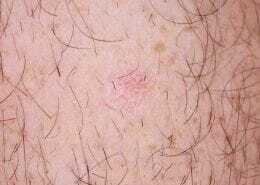 In the normal non-Parakeratotic skin, the keratinocytes lose their nuclei as they emigrate upwards within the epidermis to the stratum corneum. Keratinocytes are normally shed as dead cells without their nuclei. 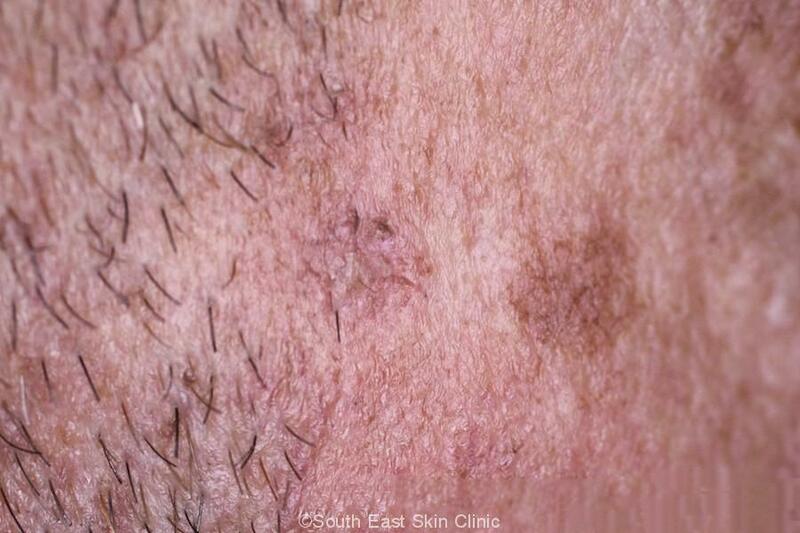 Parakeratosis indicates that the keratinocytes have retained their nuclei after migrating from the bottom layer to the Stratum Corneum, and is a feature of IEC. 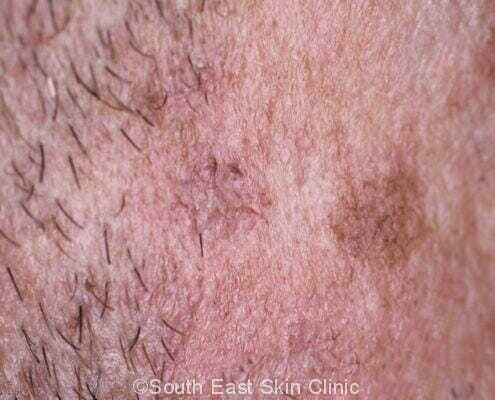 Acanthosis indicates a thickened layer within the epidermis – specifically the Stratum Basale & Stratum Spinosum where new keratinocytes are normally found. 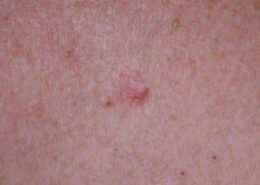 IEC is one of the most common skin cancers.